Institute of Horticulture Technology is located at Greater Noida about 42 kms from New Delhi Railway Station and about 50 km from Indira Gandhi International Airport. Pre - paid taxi/auto can be available at railway /airport/bus stations to reach at IHT, Greater Noida. 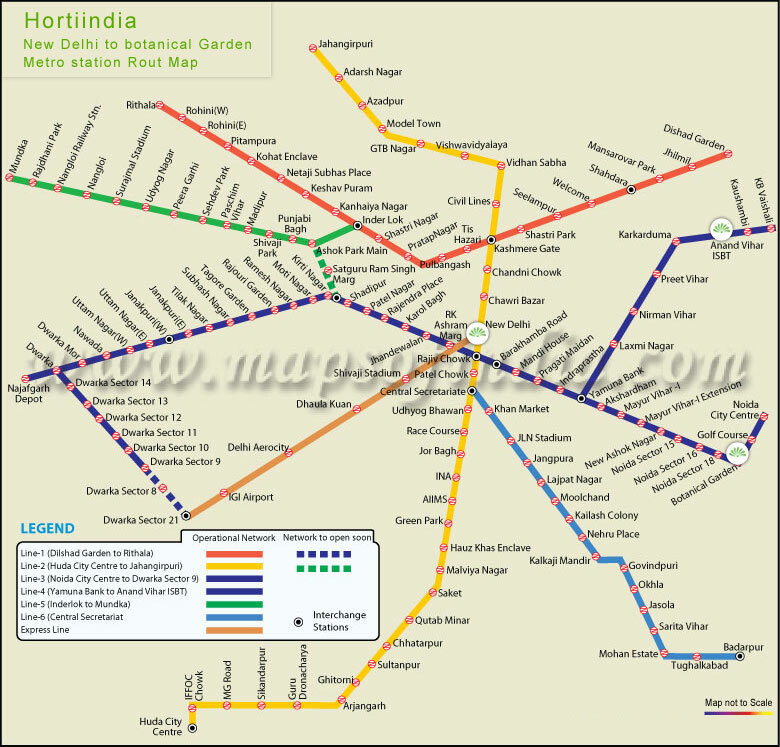 Visitors / Progressive Farmers reaching New Delhi Railway Station or Anand Vihar ISBT can take Delhi Metro to Botanical Garder Station (as highlighted below) and then Bus or taxi services for Greater Noida. The venue is about 2km from Pari Chowk in greater Noida.You can reachPari Chowk through Delhi Greater Noida Express Highway.